Sarver, PA (November 25, 2018)- The countdown has begun on the 2019 season as The Action Track moves into off-season preparation mode. There are currently 144 days before the first official green flag waves on the new season. It will be a campaign that will once again see the Fab4 Fueled by Turners Premium Iced Tea, anchored by the Peoples Gas DIRTcar Sprints, Precise Racing Products DIRTcar Late Models, Diehl Automotive DIRTcar Modifieds and Millerstown Pic-A-Part DIRTcar/RUSH Pro Stocks, take center stage on Friday nights. Before the season revs up however, there are some important dates to remember. Our 2018 awards banquet will be held on Saturday, March 2nd at Brackenridge Heights Golf Course in Natrona, PA. Times and ticket information will be available on our website soon. Later in March, look for the sharp looking new rides to be on display as drivers will be showing their new cars off for back to back weekends. The Clearview Mall Car Show is slated to run on March 20-22 while the Pittsburgh Mills Car Show is currently scheduled for March 28-30. As April gets underway, be on the lookout for our Test and Tune dates on April 5 and April 12 as drivers shake down in preparation for the coming season which will kick off on April 19. Fab4 racing will start our 2019 season on that night and the following Friday giving area Sprint Car drivers two chances to tune up the All Star Circuit of Champions who make their one and only visit to The Action Track on May 3. The special events fans have come to enjoy year in and year out return intact as the World of Outlaws Craftsman Late Models partake in the 13th Annual Firecracker 100 June 20-22. The three day speed festival will once again see two $6,000 to win preliminary nights followed by the $30,000 to win Firecracker 100 finale. Meanwhile, The World of Outlaws Craftsman Sprint Cars once again make two appearances starting with the 28th Annual Don Martin Memorial Silver Cup on July 23 and closing out with the Commonwealth Clash on September 21. The 13th Annual Steel City Stampede steps back one week in 2019 with action starting on October 17 and winding up with over 10 main events and a 100 lap Enduro on October 19. 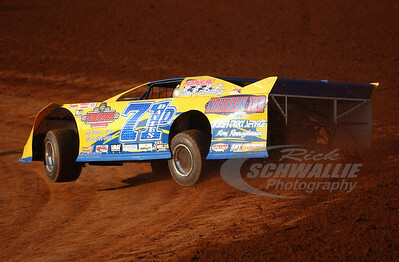 Other schedule highlights include our Annual Modified Mania featuring the BRP Modified Tour on July 26. While the Buckeye Outlaw Sprint Series (BOSS Wingless) graces the clay on June 28. Our fan favorite School Bus/Kids Bike Race nights return starting with the Summer Vacation races on June 5th and ending with our Back to School Bus Races on September 7th. Once again, there will be two firework nights in 2019 as Number 1 Cochran Automotive brings us another fantastic display as part of our Fan Appreciation Night. While Butler County Tourism presents a second fireworks show which coincides with our Championship Night racing activities on August 23. Please remember that this schedule is tentative and subject to change. More announcements will be made as changes occur. Same chit , different year. I agree. They must follow in the steps of ppms and just copy dates over from one year to the next. Glad Mercer is opening back up, hope they can put together a fresh schedule. I love the Ville, but the freaking UMP tire garbage has to go. 10 lates a night. UMP must be paying them something, or they have them by the balls, idk. While we are shouting at clouds, BRING BACK ACTION TRACK SNACKS YOU COWARDS! Edited by Hot Dog, 26 November 2018 - 12:32 AM. I have a 'hunch' none of the cars pictured will be consistently there for weekly shows. And more !!! Agree with bhh on hoping Mercer puts out a good schedule. Been going to the Ville every night they run for 20 years. Went once this year. Wont be back. Good luck !!! I am with you guys. I rarely missed a regular action event at Lernerville in the past 10 years plus. Last year I've only made about two-thirds of the races and this past year I only went to about 1/3. Next year I'll probably just hit a few specials and go to some other tracks who hosts big events and spend time doing other stuff. The place really has changed. I also used to go often. I did not go at all last season and most likely not go at all in 2019. Yes hopefully Mercer has a decent schedule. What happened to the Wednesday night racing ?